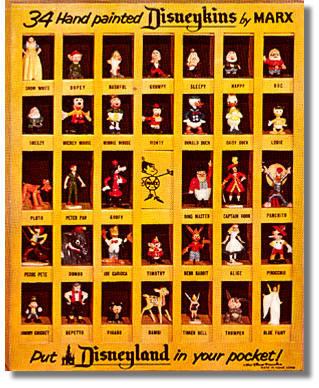 Shown above is the Marx First Series Disneykins Gift Box, which included the entire 34 First Series figures in one box. The Yellow Box Set retailed for $2.98 in 1961. This is not a store display.